Great hammerhead shark (Sphyrna mokarran) is the largest of all hammerhead species. It is a solitary and migratory fish. It has a distinctive hammer on its head called ‘cephalophoil’. Unlike other hammerhead species, it has a straight front margin. 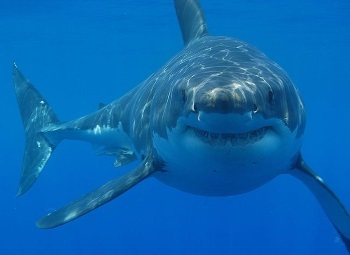 On each side of its jaws, there are 17 rows of triangle-shaped serrated teeth. Its upper body is grayish-brown to olive-green in color. 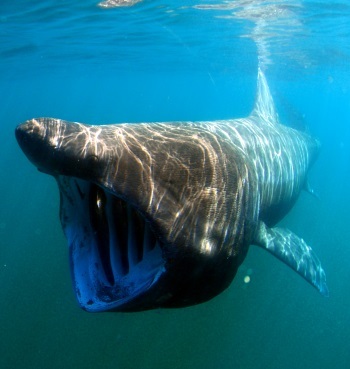 On average, it can grow up to 11 feet in length and weighs around 510 pounds. The recorded length of the largest great hammerhead is 20 feet so far. At birth, the size of a pup is 50 to 70 centimeters in length. Typically, it has a lifespan of 20 to 30 years. A male shark reaches matu rity at the length range of 7.5 to 9.2 feet while the females mature at the length of 8.2 to 9.8 feet. A female shark reproduces once after every two years. It has a litter size of 6 to 55 pups. On average, however, it lays 20 to 40 pups per litter. It occupies warm-temperate to tropical waters around the world. In the Atlantic, it occurs in the Mediterranean and from Morocco to Senegal and North Carolina to Uruguay. They also inhabit the Pacific and the Indian oceans from Ryukyu Islands to French Polynesia; Baja California to Peru. They inhabit continental shelf and coastal bays as well as up to a depth of 260 feet in deep offshore waters. Great hammerhead feeds on sea catfishes, grunts, porcupine fishes, toadfish, croakers, sardines, octopuses, crabs, squid, bony fishes and smaller sharks, rays and skates. Stingrays are, however, the favorite on its menu. 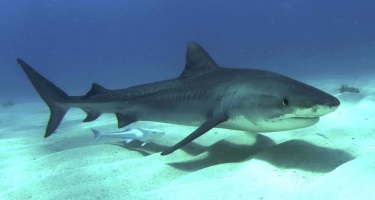 Bull sharks are the predators for the young individuals of the great hammerhead. However, the adult sharks are eaten by the killer whales.